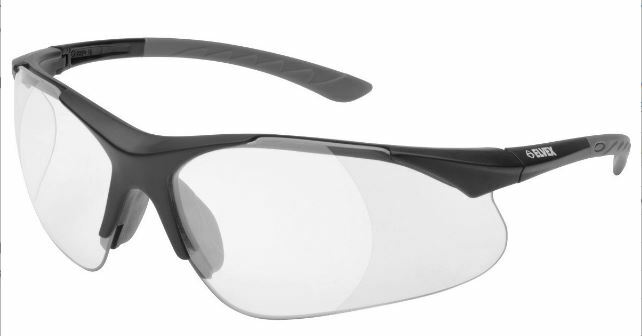 Full Lens Shooting Glasses For most people who have 20 20 distance vision and need reading glasses, the +1.00 will bring your front sight into focus. If you use reading glasses stronger than +2.50, the +1.50 is the correct choice. The mild magnification will help fog the target for better accuracy, but still provide decent distance vision for action shooting. Ballistic V? Rated- U.S. Military standard MIL-PRF-31013. ANSI Z87.1-2010(+) American National Standards Institute rated. A soft, flexible nose bridge and rubber temple tips minimizes slippage providing all day comfort. For most people who have 20 20 distance vision and need reading glasses, the +1.00 will bring your front sight into focus. If you use reading glasses stronger than +2.50, the +1.50 is the correct choice. The mild magnification will help fog the target for better accuracy, but still provide decent distance vision for action shooting.